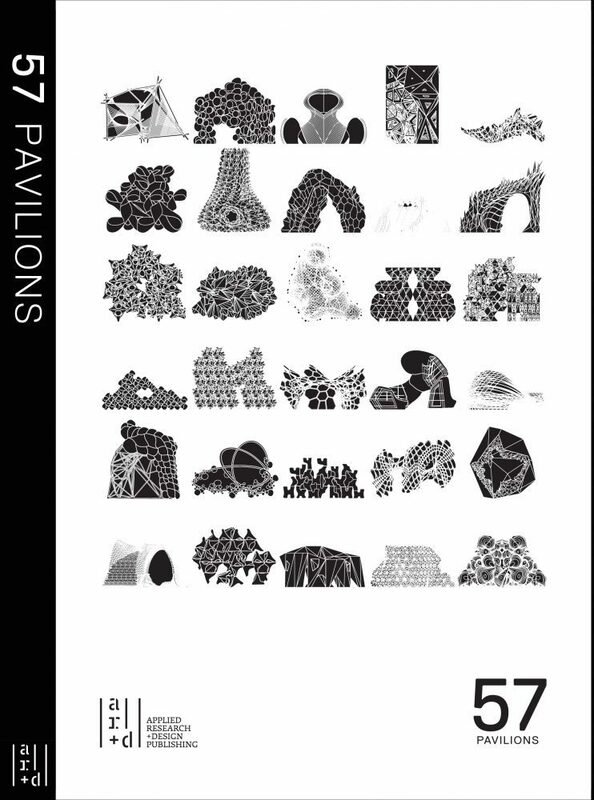 57 Pavilions is a 21st century manual documenting architectural design research at PennDesign, examining new potentials for part to whole assemblies where experiments in material expression, morphology, performance, and culture fuse with advanced digital design processes and fabrication to produce full-scale architectural consequences. Through the presentation of 54 half-scale pavilion projects and three full-scale pavilions, a novel approach is laid out for generating higher ordered physical assemblies. 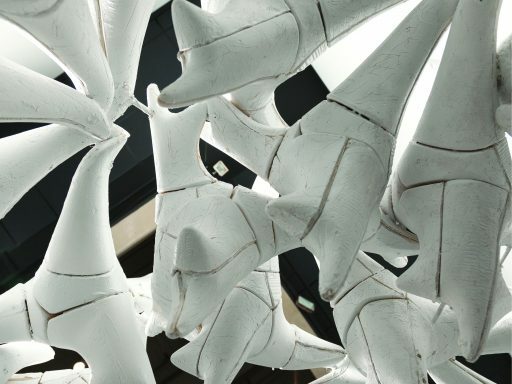 The formations produce a new role of parts, material processes, and aggregations yielding a more autonomous character as discrete objects in a larger assembly. As the pavilion research moves into the world in full-scale installations, these new part-to-whole relationships provoke unexpected engagement with occupants, the environment, and the larger cultural context. Andrew Saunders, editor, is an associate professor in the Architecture Department at PennDesign and maintains a design research practice Andrew Saunders Architecture + Design. 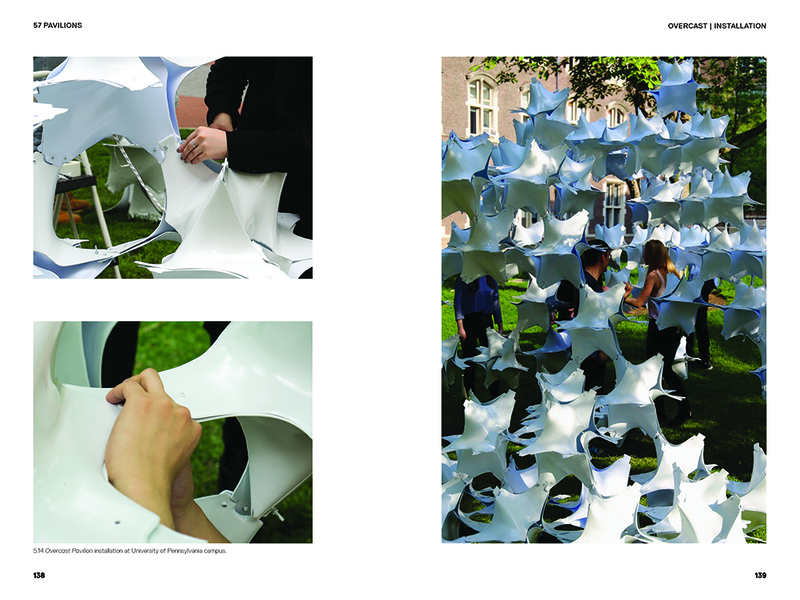 He is the coordinator of graduate Architecture studios and the Pavilion Project at PennDesign. His current practice and research interests lie in computational geometry as it relates to aesthetics, emerging technology, fabrication and performance. He received his Masters in Architecture with Distinction from the Harvard GSD. 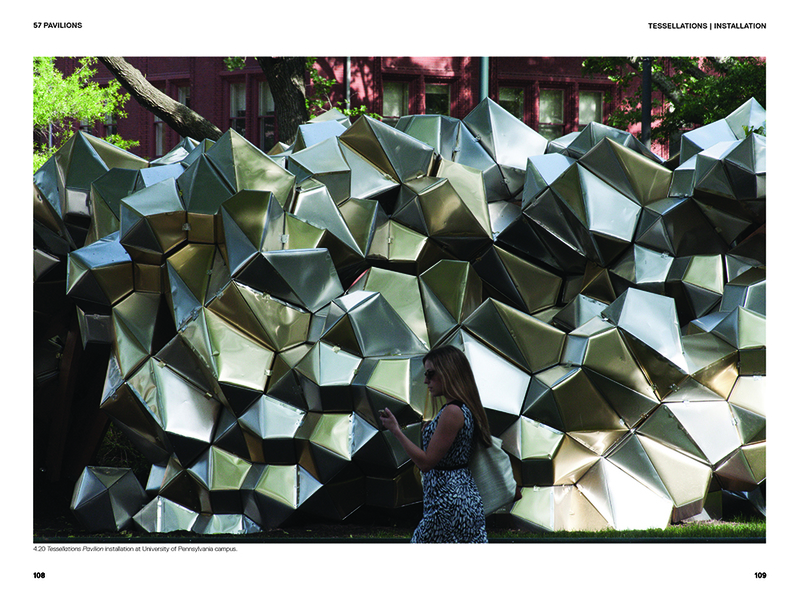 Winka Dubbeldam, contributor, is Chair and Miller Professor of Architecture at PennDesign. She also taught at Columbia and Harvard University, among others. Professor Dubbeldam was named one of the DesignIntelligence 30 Most Admired Educators 2015. A practicing architect and founder/principal of the New York WBE firm Archi-Tectonics [www.archi-tectonics.com], Dubbeldam is widely known for her award-winning work, recognized for its use of hybrid sustainable materials and innovative elegant structures. Mohamad Alkhayer PhD, contributor, has taught design studios and courses in emerging technologies at the University of Pennsylvania since 2000. 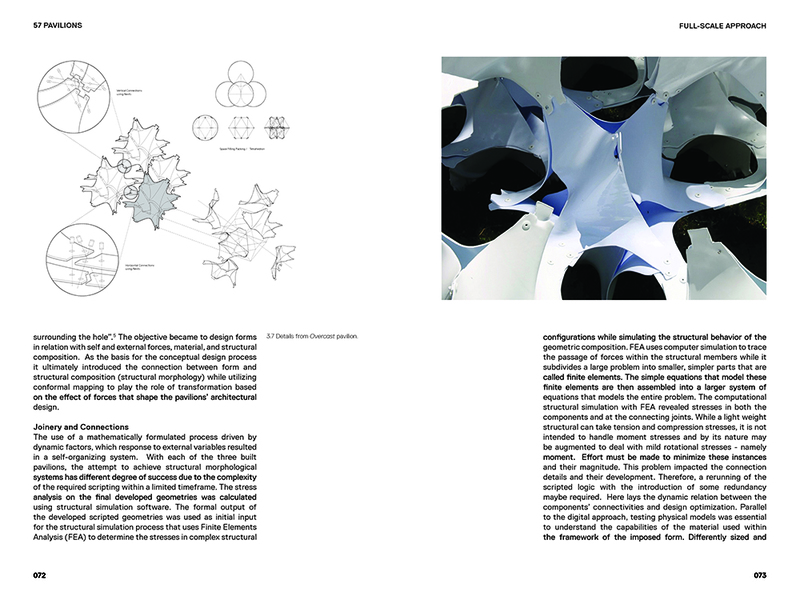 His research has included deployable structures, optimum tensile structures, and morphogenesis. He also practices architecture with NY-based RBS+D Architects. Dr. Alkhayer holds a PhD in Architecture from PennDesign. Ezio Blasetti, contributor, is Lecturer at PennDesign and a practicing registered architect in Europe. He is a partner at Maeta Design LLC, an architectural design and research firm based in Brooklyn, NY. 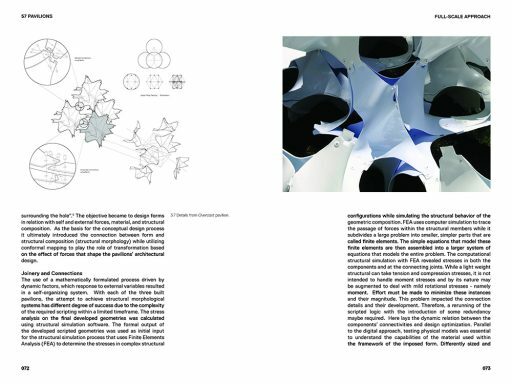 His academic and professional research focuses on the application of computational geometry and advanced technologies in all phases of architectural design, from the initial composition to the digital and robotic fabrication. 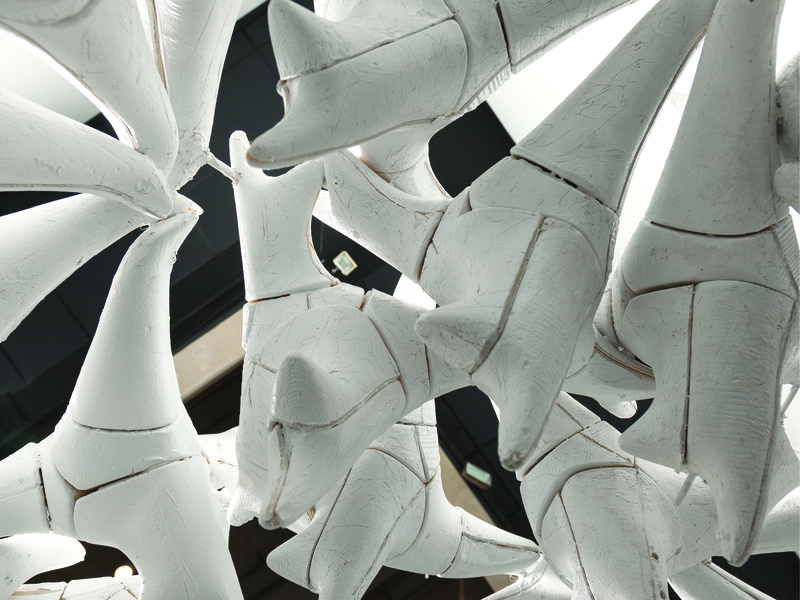 His work seeks parallels between material behavior and computational processes. Danielle Willems, contributor, holds a MSAAD from Columbia University and BArch from The Southern California Institute of Architecture. Danielle has been a faculty, lecturer and critic at several Universities and Institutes, and is currently a lecturer at University of Pennsylvania PennDesign and Pratt. She is a partner at the firm Maeta Design. She progressively merges several disciplines such as fashion, motiongraphics and film into her architectural design methodologies. Michael Loverich, contributor, is Lecturer at PennDesign and cofounded The Bittertang Farm with Antonio Torres so they could create humorous and pleasurable environments. 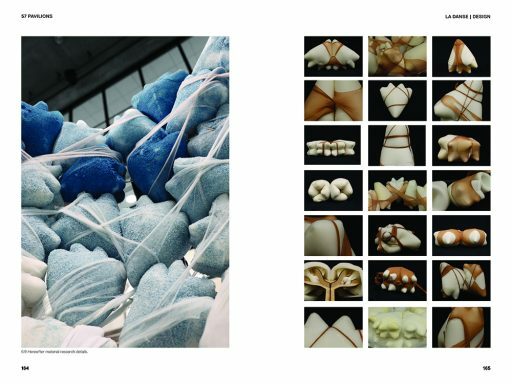 Through visceral and digital techniques, their work explores how new worlds can be created using frothiness, biological matter, and neotenous forms all unified through bel composto. For The Bittertang Farm he has built multiple inflatable pavilions, a pregnant sugar oozing pinata, a plush toy collection, a sagging birdcage and other projects that live and decay.